Even before to present myself, I would like to mention the sentence that drives me and better encapsulates my life: ‘Never Stop Exploring’, which is also the title of a beautiful artwork from a great Spanish artist called Ruben Sanchez, in art Zoonchez. I decided to get it inked on my left arm: it represents a bearded adventurous man with a kaleidoscope, he is smart and has many thoughts growing in his head. He likes music and plays the guitar, he’s a little bit restless on his skate and all those circles call me to old vinyls, big passion of mine..
My name is Giordana. I am a daydreamer, a compulsive traveller. All my life I have been looking for the shorter and most efficient way to alleviate this thirst. I am 100% southern Italian, but I feel a world citizen. I have lived and worked in my hometown Naples, Rome, Barcelona, Maldives Islands, London and Dubai so far. I love getting lost in the streets of the cities which are not the one I grew up in. I love to feel a local wherever I am not, to feel a foreign in my own city and discover new corners in old and familiar places. I love to smile. I love music in all its forms as long as it touches my soul. And eventually dance it when it is worth. I’m a wanna-be dj. 🙂 Playing music for others is for me a way to express myself, get closer to the people I like and make them all get closer and warmer to each other. I love arts, which I believe you can find in any corner if you are curious, imaginative and open to it. I like to listen and to learn. And I speak quite a lot. I am a great cook and a big-eater. I am a big food critic and I enjoy reviewing restaurants and bars on Trip Advisor. Curiosity drives me. My everyday mission is to discover something new. I don’t really know from where my nomadic soul comes, since my beautiful parents were never like that, but at least they gave me a name that can definitely explain my need to flow constantly through places and never stop. My name comes actually from a very symbolic river: the Jordan, running 251 km along the border between the Kingdom of Jordan, Israel and The Palestinian territories, flowing to the Dead sea. Because the Israelites made a difficult and hazardous journey from slavery in Egypt to freedom in the Promised Land , the Jordan can actually symbolize freedom, the power I mostly chase in my life. “Everything changes and nothing remains still … you cannot step twice into the same river”. I wonder which other name I could ever desire and consider more appropriate to my personality. Always in search for changes and adventures across this wonderful world, as a proper gipsy, not in order to get lost but to find myself and to find the beauty that Mother Nature gave us for free. When I was younger, I was the most restless of two twins, and that is why I like to use this nickname “The gipsy twin“. The initial name of this blog was Pantarei from New York to Rio, since I started it when I decided to travel for a while between these two cities I so wanted to visit at that time. On Friday 12/10/12 I took a one way flight from Rome to New York with the idea of getting from there to Rio de Janeiro in some way . Without anything booked. Backpacking on my own. I had dreamt of the adventure of a solo travel for all my life. 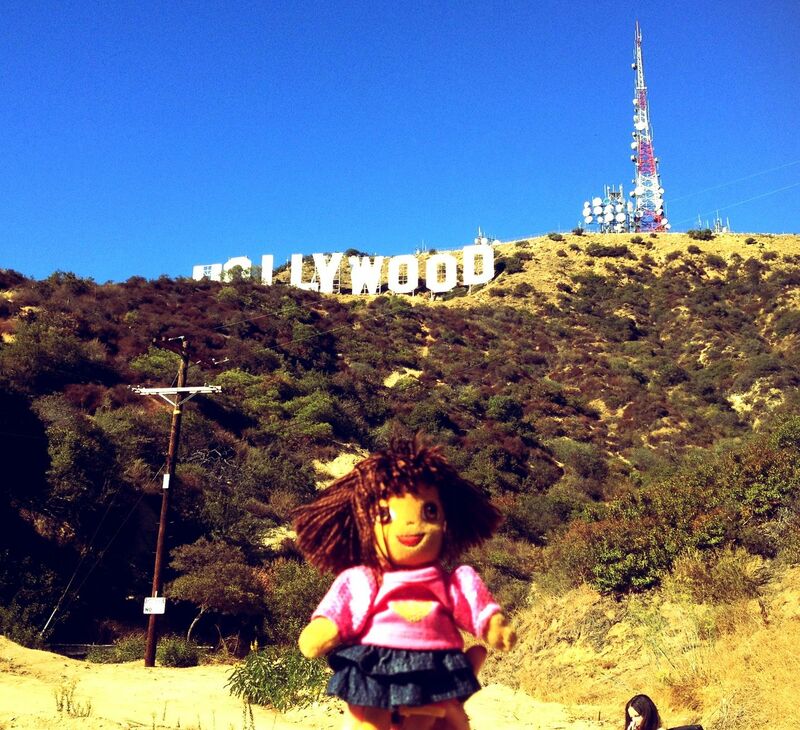 Hoping not to sound a weirdo, I had the funny company of a “mascotte” – a lovely cartoon doll called Dora the explorer, precious gift before to leave for that trip from my lovely niece Angelica, at that time only 6 years old. When I went to say goodbye to her before the trip, I explained her the reason of that travel, my passion for exploring new places, culture and languages. And she told me in a still broken language that she would have loved to go with me but she was too little and had to go to school, but in exchange she would give me her favourite doll. 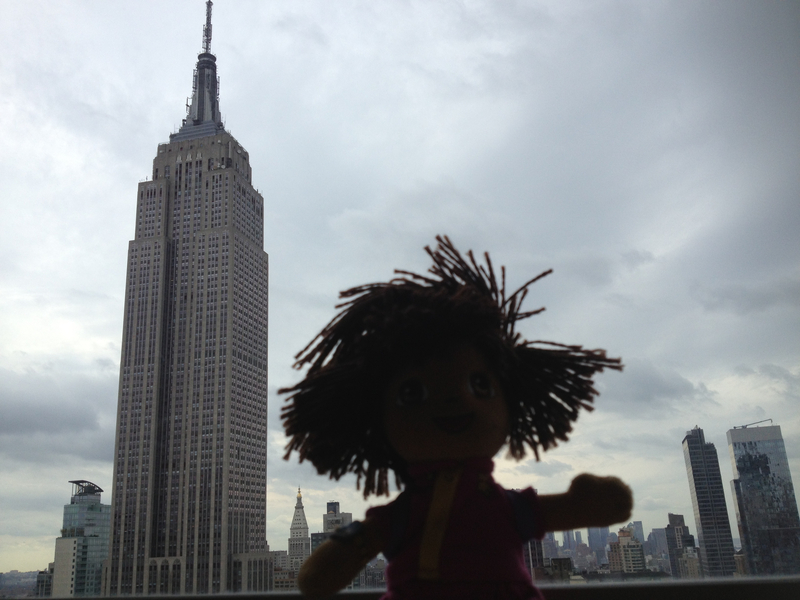 Dora was the perfect mascotte. She usually embarks on a trip in every episode of her life in order to find something new. Inspiring kids on adventures with her best friend. Just like me. Chasing adventures without forgetting the biggest values of all: family – even though we both spend little time with them. 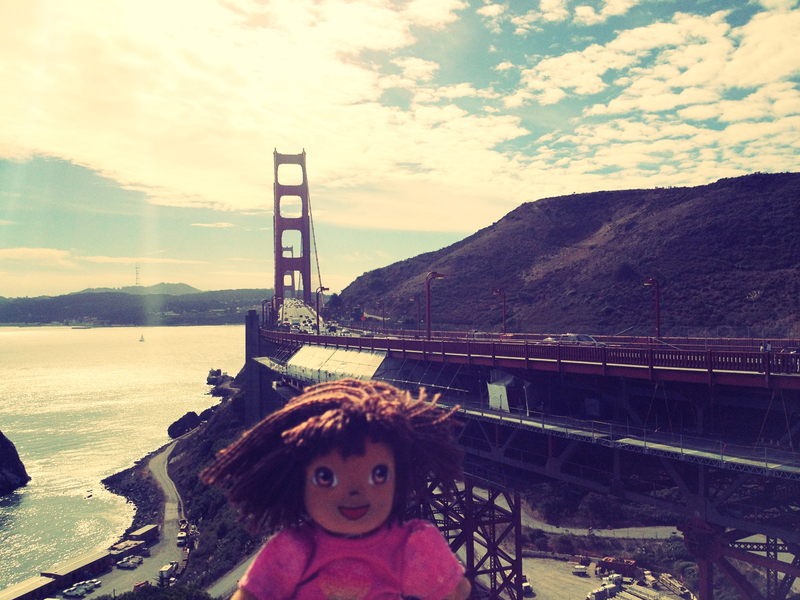 I decided to return that amazing gift by taking a picture of Dora in any place I visited so to show to my niece one day, hoping to let her fall in love with travelling. I think I already succeeded in that. Even though I have always loved to express myself by writing, I am still an amateur and this was my first blog. I try to speak and learn as many languages possible just to make sure that my thoughts and my words are not limited to people who speak my native language only. That is why – sorry mum and dad and all those friends who don’t speak it – I decided to write it in English. But still, apologizes for any grammar or misspelling mistakes, and I will always make sure to cheer you up with entertaining stories. All of the people who is reading this blog, will either have been part of the stories told or have been kind of inspiration for my trips or will just be inspired by mine, which is one of the biggest purposes of this blog. May my travels and pictures encourage you to go and explore this beautiful world. Immerse your soul in Travels and Love ! Ciao big eater…;) love your curiosity and hope to listen your stories soon!! Pigramente all’ombra a San Augustinillo leggo i tuoi articoli. Ho sperato che ti fermassi un po’ di più a Mazunte, ma la scugnizza viaggiatrice ha la brace sotto i piedini ed é giusto che prosegua il suo viaggio. Chissá che non ci si veda da qualche altra parte… dopotutto ero in maggio a Ibiza ed eri lì, a ottobre a Napoli ed eri lì, e ora a Mazunte… safe trips, Giordana. Un bacio grande!